First off, I loved Brad Pitt. He was an everyman type of character and very relatable. He wasn't super human, he still feared the zombies. However, he used his head and didn't let fear consume him. I found myself rooting for him as he traveled the globe looking for information. I also liked the acting from the young soldier who accompanies Gerry later on in the film. I feel that those moments were even more tender than those with his wife in the beginning. A bit surprisingly I found that I liked the Zombies. Sure at some key points they were a little to CGI but overall I think they were decent. I really liked the moments where we saw them individually instead of just hordes outside. Like when Gerry is at the WHO. To me those moments were actually scary in parts. I really could feel the tension of the moment. The noise they make was eerie as well. 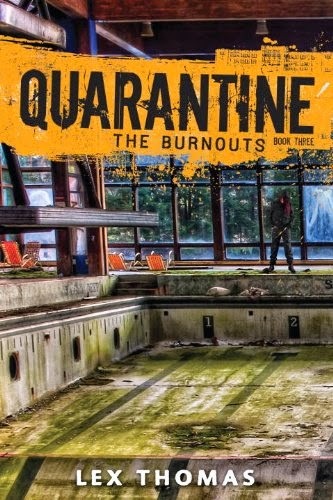 They reminded me of the infected from The Last Of Us. Speaking of the zombies. I liked the solution Gerry figures out as a way to combat them. The end scene where Brad Pitt is walking down the sky bridge back to the other survivors was seriously cool. I won't give it away but I liked it. Lastly, I liked how action packed World War Z was. One thing about the book that I hated was how slow it was in parts. The film knew how to balance information being given while still keeping the plot moving along. It didn't stay in one location to long. It was get in, get out. Let's move on. Now while I really liked World War Z I did have a few small issues with the film. One of my biggest gripes was that I felt his family should of either been shown a bit more or removed until the end of the film. I just didn't get why we needed to keep seeing her in the same room looking worried. It's not like she really added anything except you know almost causing her husband to die cause she just had to call him. Now if they showed his wife interacting with crew,survivors or her children on the ship and then occasionally glancing at the phone I could dig that. The way it was done though I just didn't care. Actually now that I think about it most of my gripes come from the ship side of things. I wanted to know who they were saving and how many were on board. I wanted to see the kids interacting with other survivors kids. You could spot some at the beginning so why weren't they seen again? I just feel little touches like that where we see survivors trying to move on despite the horrible circumstances is a nice touch. It can all be done in cutscenes with minimal dialogue but just a few shots here and there would of been nice to see. Overall I think World War Z was a fun time. The movie had a little something for everyone to enjoy. It had action, suspense, thrills, chills and a wee touch of romance. I know I'll be adding this film to my extensive Zombie collection and I am looking forward to a sequel in the future. I highly recommend going out and seeing this film if you haven't already. It is definitely worth the price of admission. 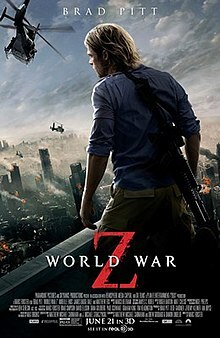 With that being said, I will be rating World War Z ★★★★. Want to learn more about the book the movie was based on? Agreed, while I did like the book, the movie was more "enjoyable" and I think they did a great job with it. Great review!